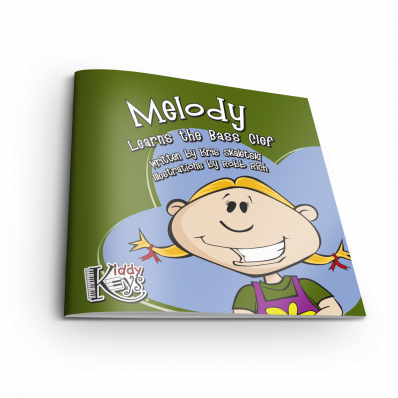 Let’s learn about the bass clef with our friend Melody. 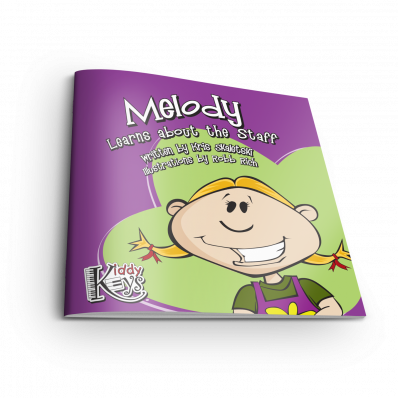 Children will love counting the staff lines and finding F. For low sounds with the left hand, to the bass clef we go! 8 pages. Ready for a treasure hunt? 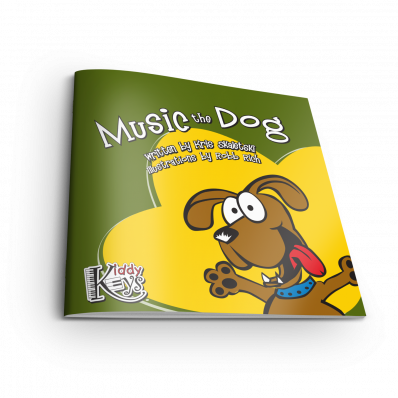 Let’s go along with Skip as he, Music the Dog, and Melody learn about the treble clef. 12 pages. 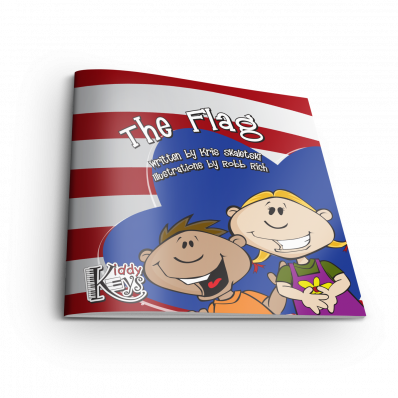 This patriotic story relates the lines and spaces of the staff to the stripes of the US flag. Call it Old Glory, our symbol so true. It has special colors: red, white, and blue. 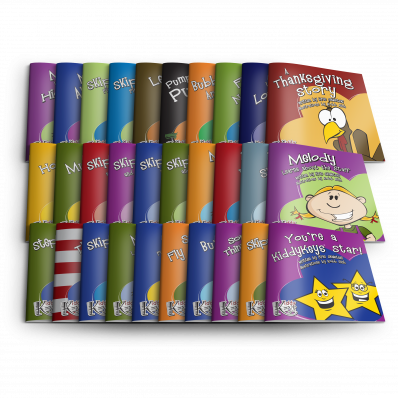 Join the parade and be a star today! 8 pages. 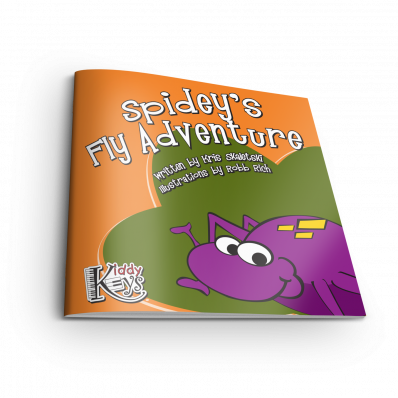 This spider’s not scary—he likes to have fun. Spidey’s his name; he’s a friend to everyone. Let’s visit Spidey as he climbs on the staff. 12 pages. Our music friend Melody will show the way. 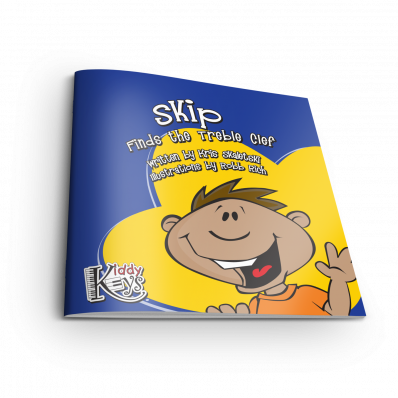 We’ll learn about the staff in this book, hooray! Pictures show lines, spaces, and notes galore. 12 pages. Music is special, and he’s the star of this story. This is a terrific review of note values. Children love the review, and they love Music too. Join Music as he dances and claps his way through this book. 8 pages. It’s not a ball or a bubble in the sky, but it has a head and no stem, oh my! The whole note takes the stage in this rhyming tale of the note that gets four beats. Remember your manners, and always say “you are wel-come!” 8 pages.